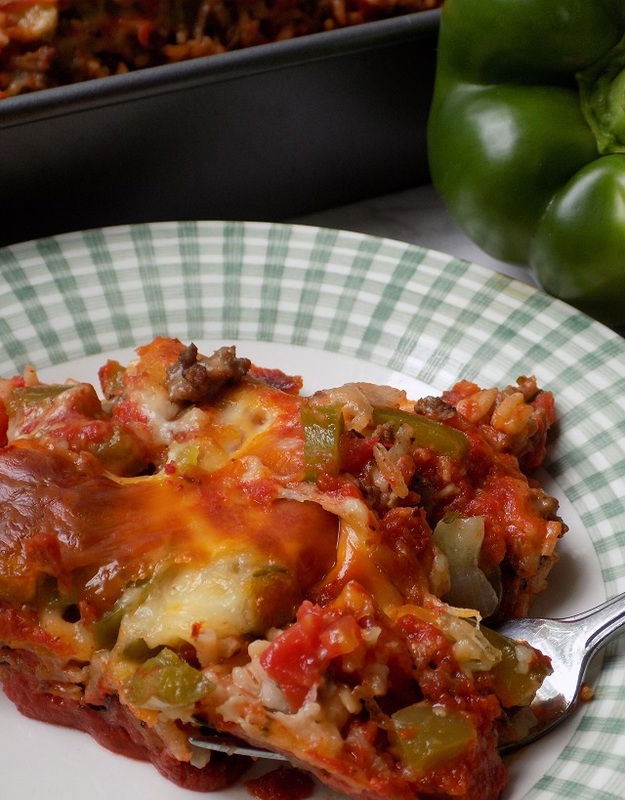 This stuffed peppers casserole recipe was a super happy accident, friends. All of my kids absolutely love green peppers, which is pretty amazing considering how picky they all are with their food choices. They also have an affinity for traditional stuffed peppers. Each time I would make them though, they would complain about how hard they were to eat. Hard to cut, hard to contain once they did managed to cut them etc. So I stopped making them for a while. 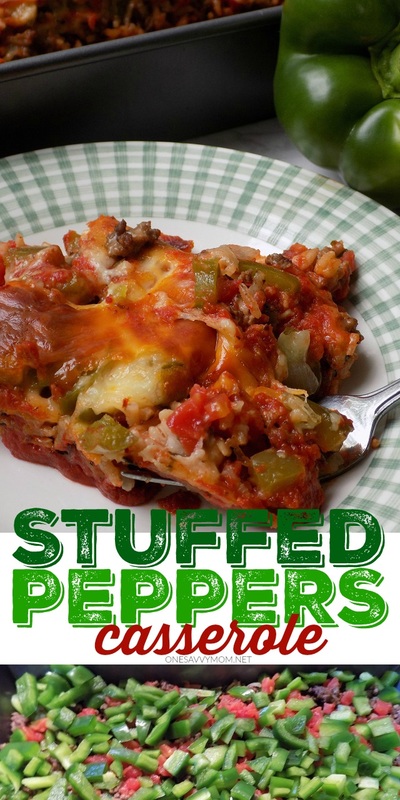 After a friend gifted us with a ton of green peppers from their garden last week, I decided to try my hand at a fun new twist on stuffed peppers; a casserole that combines all of the ingredients of traditional stuffed peppers in a one-dish meal. The results were a big hit! All of the kids cleared their plates and asked for more, which is a complement in itself, coming from my group picky eaters. Give it a whirl for dinner this week and I'm sure you'll like it just as much as my crew - it's delicious and so SO easy to put together! 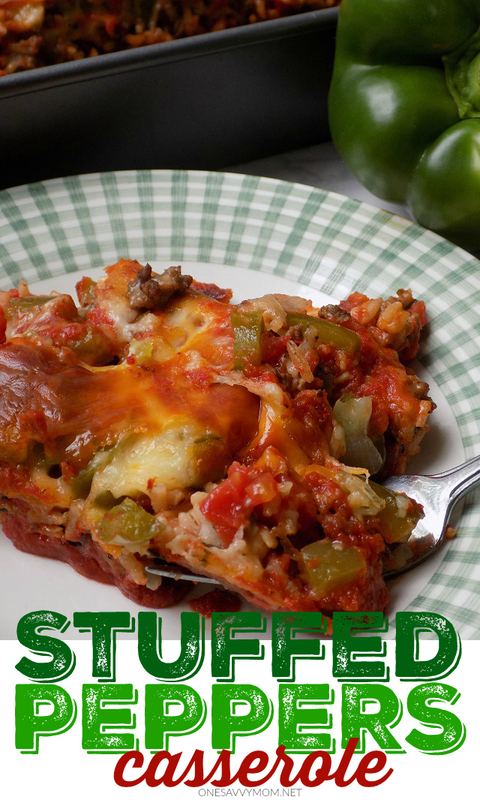 Grab my recipe for stuffed peppers casserole, below. Dice green peppers Set to the side. Dice onion, saute in butter for 3-4 minutes on medium heat. Set to the side. 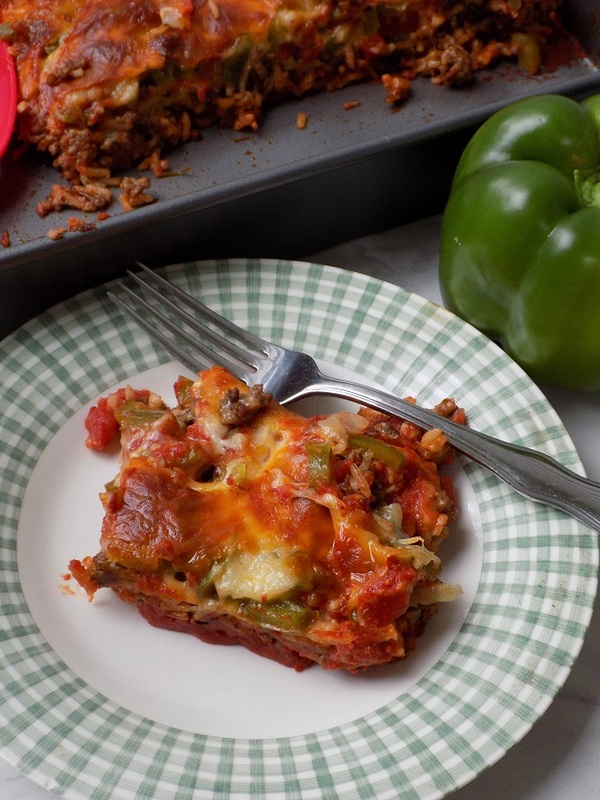 In a 9 x 13 baking dish, spread half of the tomato sauce - covering the entire bottom of the baking sheet. Next, add your cooked long grain rice on top of the tomato sauce. Now, add your cooked ground beef on top of the rice. Next, add your sauteed onions on top of the ground beef. Now add your diced tomatoes on top of the sauteed onions. Next spread the remaining tomato sauce over top of the diced tomatoes. 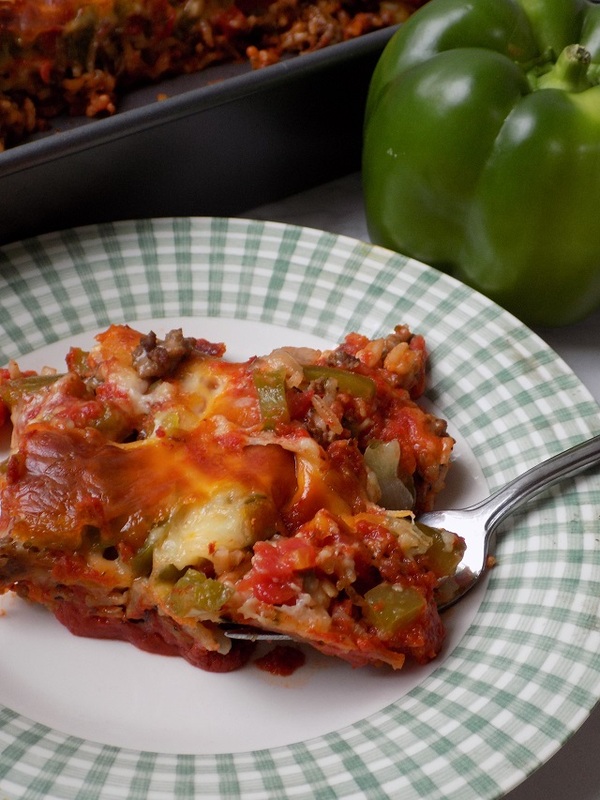 Now, add your diced green peppers covering the entire surface of your casserole. Top with shredded cheese (generously covering the top of your casserole). Bake at 350 (F.) for 45 minutes. Cool for 15 minutes before slicing / serving. ENJOY!